Qualifying 1: In Group A it was Schothorst only managing P 12 in his group. Tunjo and Malja also were not really able to put the quali lap together in Group B with P 7 and P 8. Overall a difficult qualifying session. 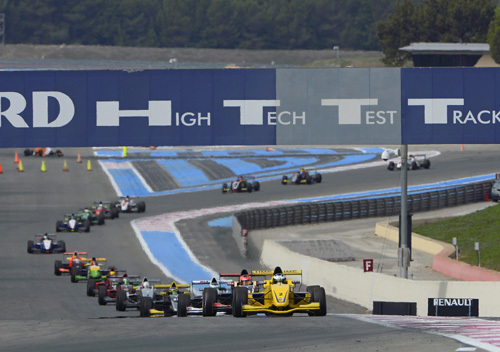 Starting Grid Tunjo P 13, Malja P 15 and Schothorst P 24. Race 1: Race 1 it was Malja who had a good start but unfortunately touched with teammate Tunjo. Tunjo had to retire. Malja was able to continue. 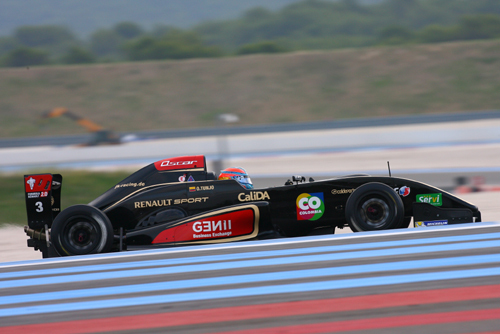 Schothorst drove a very good race moving up positions from 24 to P 14. Malja drove a very good race with fast lap times. He was able to move up some more positions and finished on a fine P 8. Qualifying 2: Malja and Tunjo first on track in Group B took P 6 and P 4. Schothorst in Group A was missing some pace again only on P 9. Starting Grid: Tunjo P 8, Malja P 12 and Schothorst P 17. Race 2: All drives had been on slick tyres on an updrying track. It was very slippery on track the first half of the race. 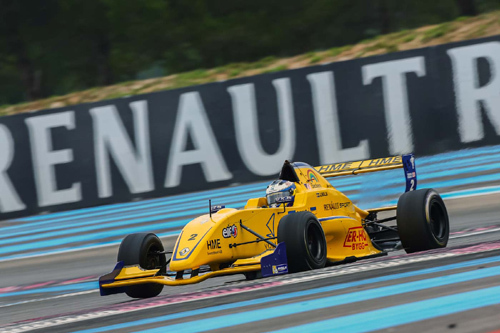 Malja spun the first lap and crashed his front wing and dropped back the order to P 24 in the end. Schothorst again was able to move up some positions to finish P 13. Oscar Tunjo drove a very good race with fastest race laps and moved up to P 5 already untill he was pushed off and spun to finally finish P 9.